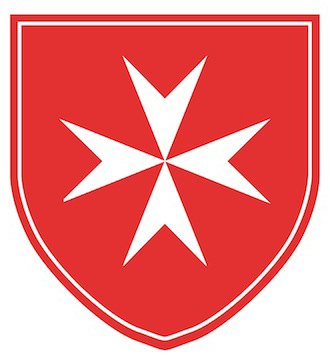 Order of Malta Switzerland belongs to the Sovereign Military and Hospitaller Order of Saint John of Jerusalem, created in 1048 and recognized by the Church in 1113. The Order is now represented in more than 120 countries with its own support institutions. Order of Malta-France was created in France in 1927 by the French association of members of the Order of Malta (created in 1891) to represent the Sovereign Order of Malta in France. Its mission is to welcome, help and care for people who are weakened by life, and to train their caregivers. The City of Geneva collaborates actively with international cooperation actors to fund development and humanitarian projects. It implements concrete actions of social and economic development on the ground. Through its International Solidarity Service, the State of Geneva seeks to promote sustainable development in order to aid in the fight against poverty in the least developed countries and act to stop socio-economic inequalities, discrimination and exclusion. The Peter Donders Foundation supports local initiatives on leprosy eradication in Cambodia, Laos, Thailand and Vietnam, by improving the living standards of leprosy affected people and fihghting against their exclusion from society. PDF is not associated with any religion. In accordance with its mission, the Raoul Follereau Foundation continues its founder’s fight against leprosy as well as against other forms of leprosy such as ignorance and poverty, which also condemn their victims to exclusion. The Novartis Foundation is committed to ensuring quality healthcare in low and middle-income countries. We take a strategic approach to philanthropy, which means that we work on projects hand in hand and on the field with our regional and global partners. In 50 years of history, ANESVAD Foundation has worked in 18 countries in the 3 most impoverished continents, always on issues related to the Right to Health, such as Mother-Child Health, Trafficking of Human Beings, and the Neglected Tropical Diseases, including leprosy. NLR works with governments, NGOs, research institutions and Disabled People’s Organizations in order to promote and support the health, ability and full inclusion in society of people affected by leprosy and persons with disabilities, via the provision of training, expert advice, research and innovation. ILEP (International Federation of Anti-Leprosy Associations) is a Federation of 14 international non-governmental organizations working in 61 countries in order to achieve the aim: zero disabilities, zero transmission, zero exclusion.